When I posted Battlefield 1 Beta’s system requirements, I predicted those specs will apply for the main game as well. I wasn’t surprised to know that yes, these are the same system requirements. Along with the announced specs, some vital information have been released that you can’t miss by any chance. Daniel Berlin, Lead World Designer of BF1 put up a blog post yesterday that contains key information regarding the game. He first talks about the Conquest Mode and how it’s going to change in the main game. “The next time you play the game, capturing the objectives AND getting kills will both contribute towards the final score of a Conquest match,” says Daniel. 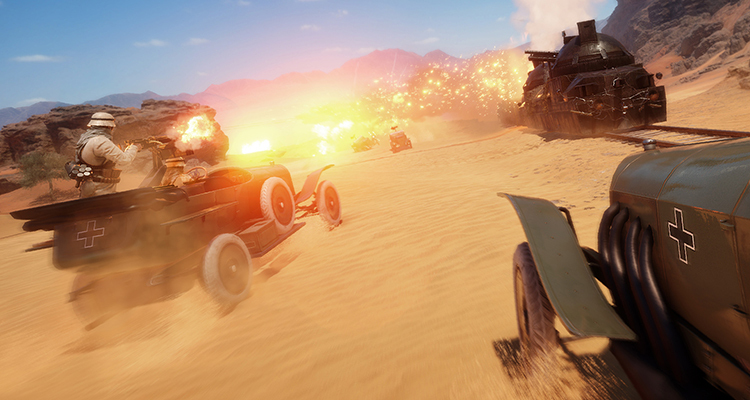 Battlefield 1 will be out for PlayStation 4, Xbox One and PC (Origin) on October 21. Thanks Andy for the vital information. Keep in touch with Spiel Times for more gaming, technology and esports related information, news and stuff.